are made from woven fabric. These swimsuits are designed to reduce fatigue and stress of a long open water race by aiding muscular compression. The suit will also reduce drag to maximise speed in the water. The fabric is water resistant, keeping the wearer drier. Compared to the big name brands, these offer fantastic value for money and competitive performance. Black fabric with white overstitched seams. Yingfa "Shoulder to Ankle" swimsuit, designed for Open Water Swimming (OWS) competitions. These swimsuits reduce drag to maximise speed in the water. 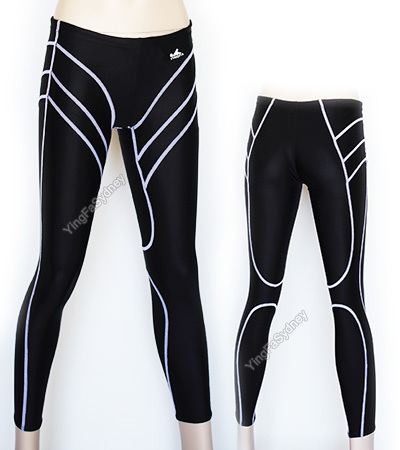 The fabric is water resistant, keeping the wearer drier while offering good compression for less muscle fatigue.